Sometimes, it's easy to get so caught up with work, sports, school, and other outside activities, that there's little time to spend together as a family. Many teens also aren't interested in spending too much time together as a family. It's developmentally normal for them to want to be surrounded by their friends and their own activities as they gain independence. It's important to spend quality time with your teen despite the obstacles that make it challenging. 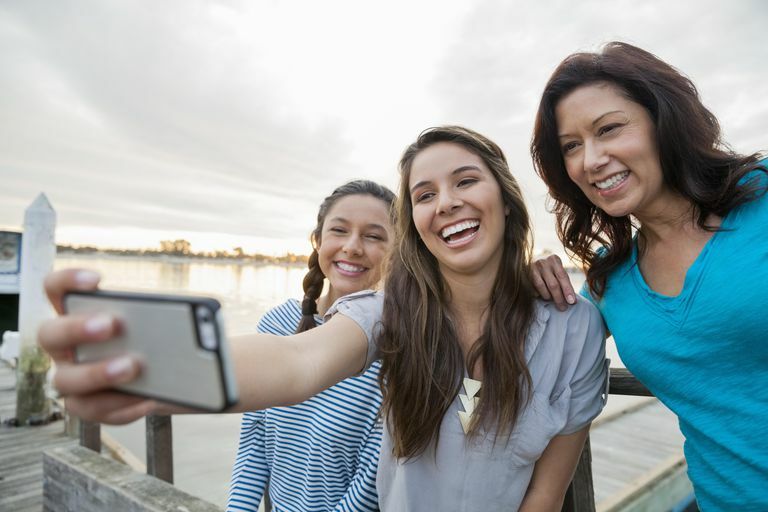 Studies show teens who spend more time with their parents have better social skills and have higher self-esteem. This can be especially true when teens spend time with their fathers. A 2016 study published in the Journal of Youth Studies found that quality time with parents served as a better predictor of teenager's academic aspirations than time spent doing homework with teens or attending extra-curricular activities. Parents who discussed books, attending cultural events, and brought teens on community outings raised their teen's aspirations. Giving your teen regular doses of positive attention will also help you maintain a healthy relationship, which can reduce behavior problems and set your child up for success later in life. 1. Sit down and talk about your teen's day. 4. Solve a problem together. It could involve a household issue, like how to keep clutter from collecting on the table or it may involve how to solve bigger problems of the world, like poverty. 5. Attend a music festival. 6. Talk about the future. Identify your teen's future goals and discuss what the world might be like 20, 30, or even 50 years down the road. 7. Read the same book and talk about it. 8. Plan a weekend trip. 11. Develop a new healthy habit together, like exercising or writing in a gratitude journal. 13. Explore foods from other cultures by attending restaurants that serve food you've never tried or by cooking foods from other parts of the world. 14. Plan a family vacation together. 15. Work on a monthly menu planner together. 16. Participate in a monthly challenge, such as walking for 30 days or saving spare change for one month. 17. Take a walking tour of historic neighborhoods. 18. Take a class together, like a photography class or a graphic design class offered in the community. 19. Go to the ballet. 20. Attend a community event. 21. Build or add to a family website or social media site together. 22. Research your family tree. 24. Do a puzzle and frame it. 25. Plant a garden in the backyard or a potted indoor garden. 26. Go to a reading by a local author. 29. Go to a museum. 31. Take a pottery class. 33. Find shapes in the clouds together. 34. Go to the zoo. 35. Learn about the history of your community together. 36. Make a time capsule. 38. Go to a professional sports event. 40. Make a pillow or quilt out of your old T-shirts and blankets. 42. Visit a national park. 43. Take a yoga class together. 44. Learn a new sport. 45. Start a small business together. 46. Get a tour of a college. 47. Attend a poetry event. 48. Order out at your teen’s favorite fast food joint. 49. Spend a day at the beach or a lake. 50. Learn to play a musical instrument together. Take turns picking the activities. It's good for your teen to attend events that she might not have chosen herself so don't be afraid to pick things that might not interest her at first. She might discover some hidden talents or develop new interests. Give her a chance to pick some of the activities as well to help her stay invested in spending quality time together. You might find you're better able to stick with your plan if you schedule a regular date together, like once a week or twice or month. Lam CB, Mchale SM, Crouter AC. Parent-Child Shared Time From Middle Childhood to Late Adolescence: Developmental Course and Adjustment Correlates. Child Development. 2012;83(6):2089-2103. Hartas D. Young peoples educational aspirations: psychosocial factors and the home environment. Journal of Youth Studies. 2016;19(9):1145-1163.